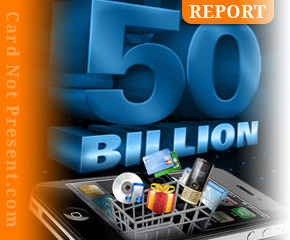 Mobile e-commerce sales in the U.S. will hit $50 billion by the end of this year, according to a new report. The May edition of the Custora Pulse, an e-commerce benchmarking effort by the online marketing firm Custora, said U.S. consumers spent $12.2 billion online using mobile devices in the first quarter of this year and estimated its 2014 total based on growth in the past four years. The Pulse reported that mobile e-commerce has grown nearly 2000 percent from $2.2 billion in 2010 to $42.8 billion last year. Custora also found smartphones and tablets currently account for more than one-third of all visits to online stores from virtually none three years ago and that Apple devices still account for the majority of e-commerce sales, but the company’s share is eroding. Over the last two years, the share of orders originating on iPhones went from 75.1 percent in 2012 to 50.6 percent in Q1 2014. Samsung has been the beneficiary of most of that decrease, growing from 6.9 percent in 2012 to 30.5 percent in 2014. Please visit http://cardnotpresent.com/ for more payment news!